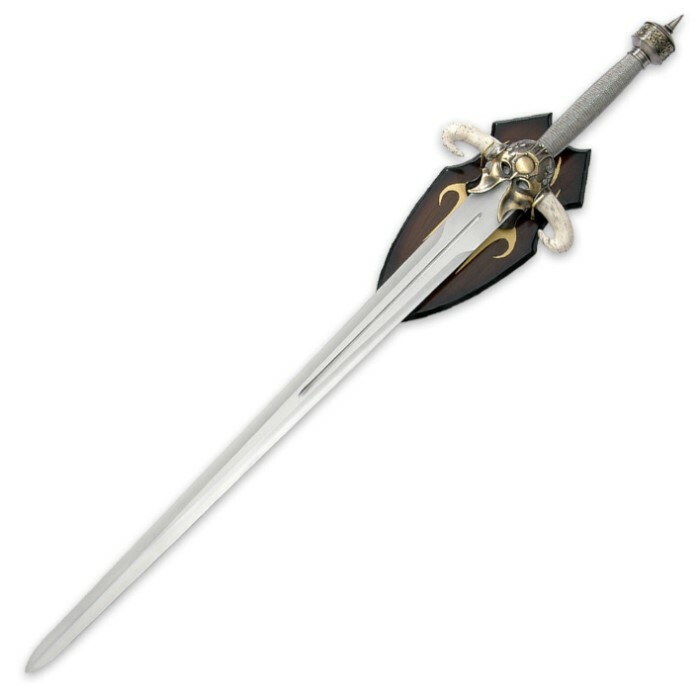 This massive 44" sword is equipped with a 33" satin finished, stainless steel blade with heavy blood groove. 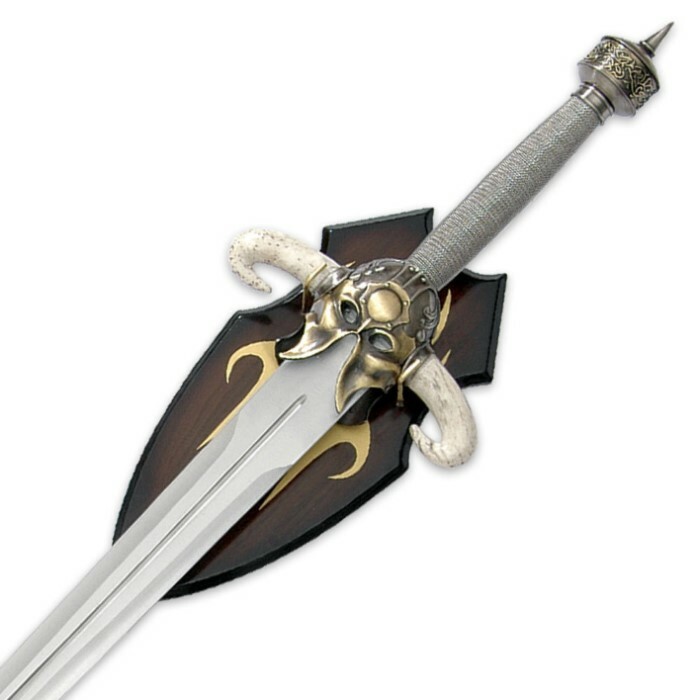 The stainless steel, twisted wire wrapped handle is accented with a cast brass engraved pommel. 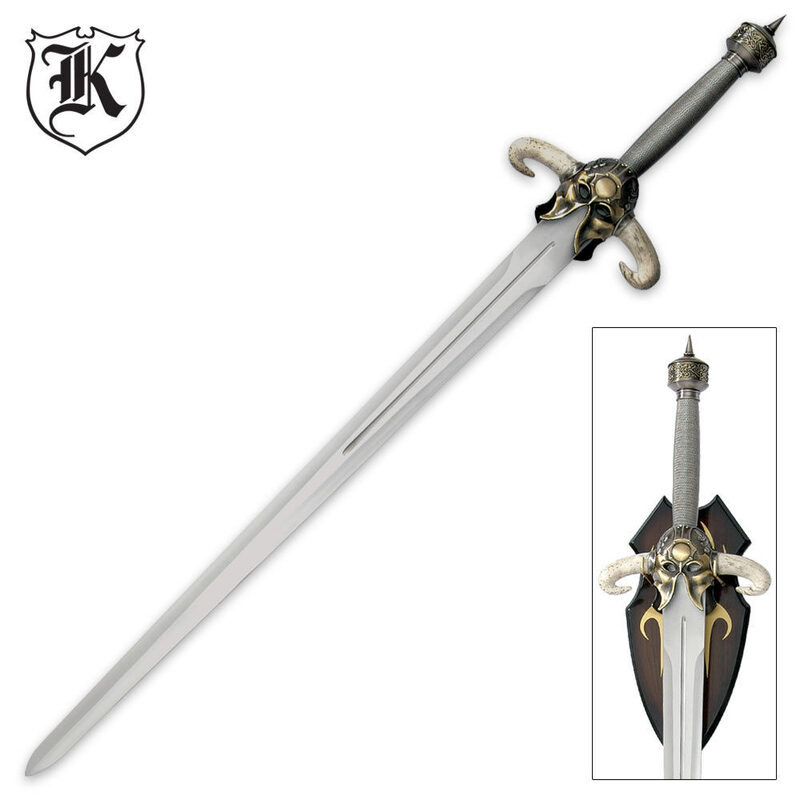 The outstretched guard offers a marble finished cast brass, engraved guard. Includes fantasy wall plaque.